I am going to be brutally honest with you here. 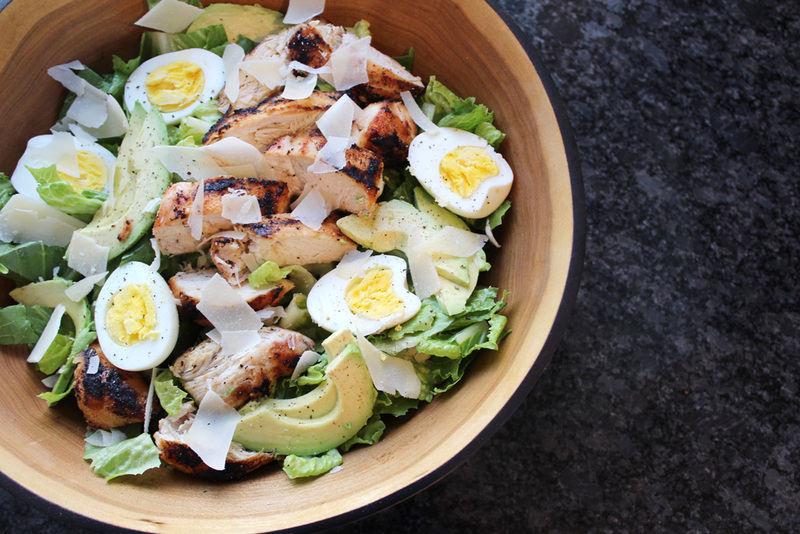 Lets talk salad. Every week during my grocery trip outing, I find myself looking at all the lettuce. I buy myself a bag of spinach and a bag of kale for my morning smoothie, but then I think, “it would be really nice to have a side salad one night this week.” So I then proceed to grab a bag of spring mix. I have all the best intensions. But then, when it comes time to make the salad, I always have the same exact dilemma. WHAT AM I GOING TO PUT ON MY SALAD? Because, lets be honest, I am not just going to eat a bowl of plain spring mix with no toppings. This week I set out to do something different. Get this – I PLANNED my salad ahead of time. Crazy, right?! 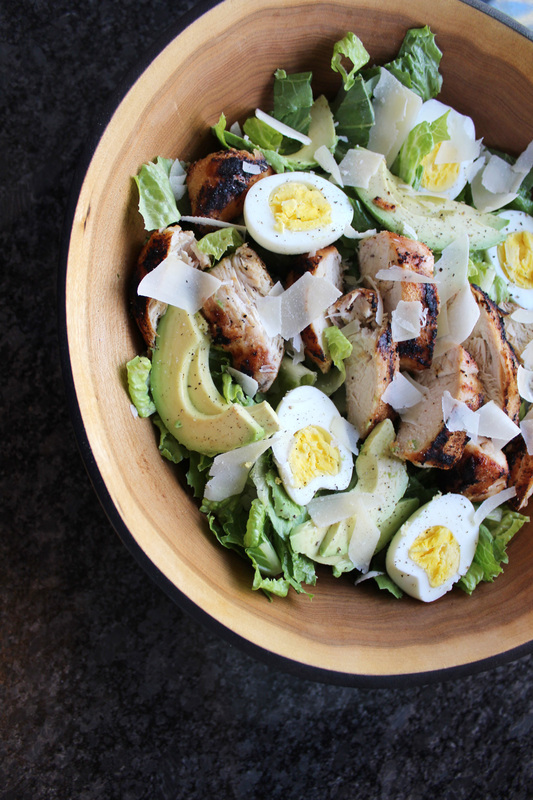 Amazing how well a salad can turn out when you put a little bit of time into thinking about it before hand. All sarcasm aside, this salad was bomb! It was so so good, but the most impressive part, if I do say so myself, was the dressing. 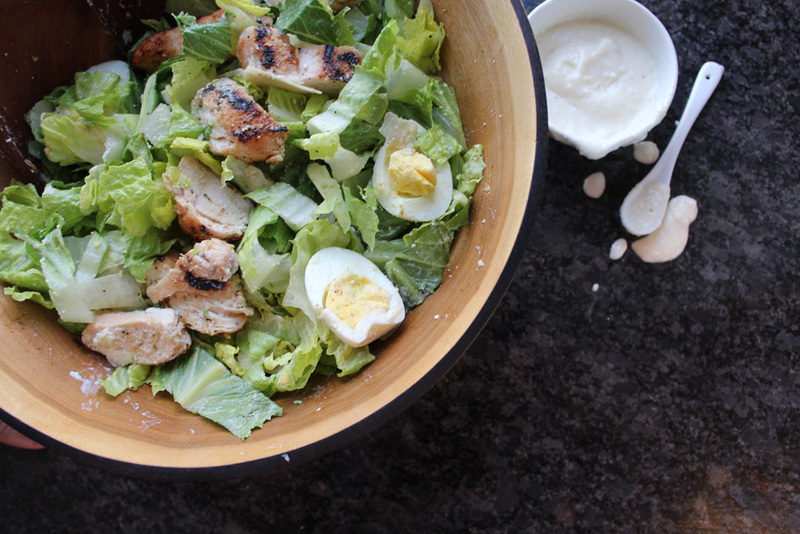 It tasted just like caesar salad dressing but it was made of yogurt. Mmmm it was so good! 1. Heat up the grill. 2. Wash and pat dry the chicken, then rub with garlic powder and salt on both sides. Once this is all good to go, stick it on the grill and give it a nice char on both sides. Set aside for 2-3 minutes before slicing. 3. 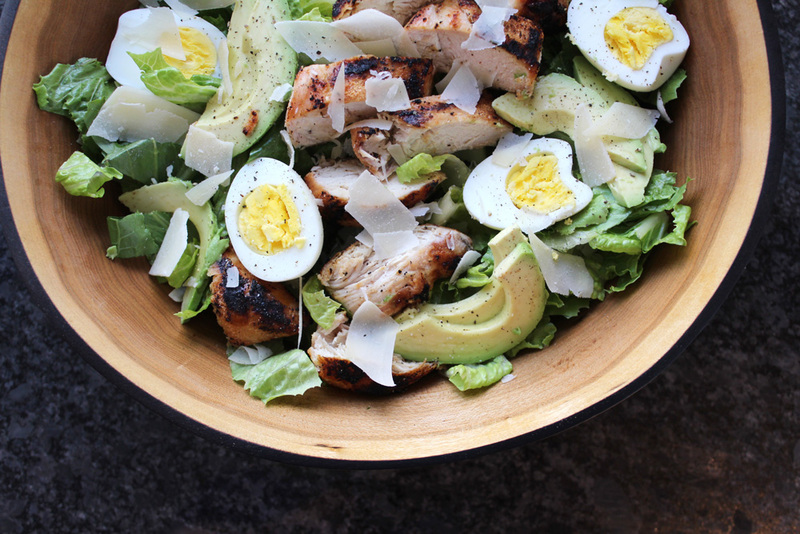 Assemble the salad: lettuce, chicken breast, avocado, hard boiled eggs, and shaved parmesan cheese. 4. Now for the fun part: dressing! Whisk together the yogurt, garlic, lemon juice, olive oil, grated parmesan cheese, salt and pepper. 5. 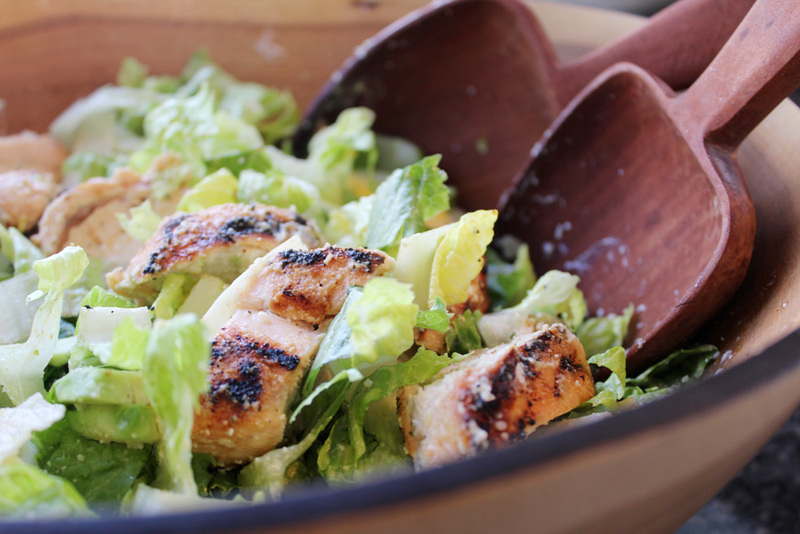 Pour your dressing over the salad and toss.